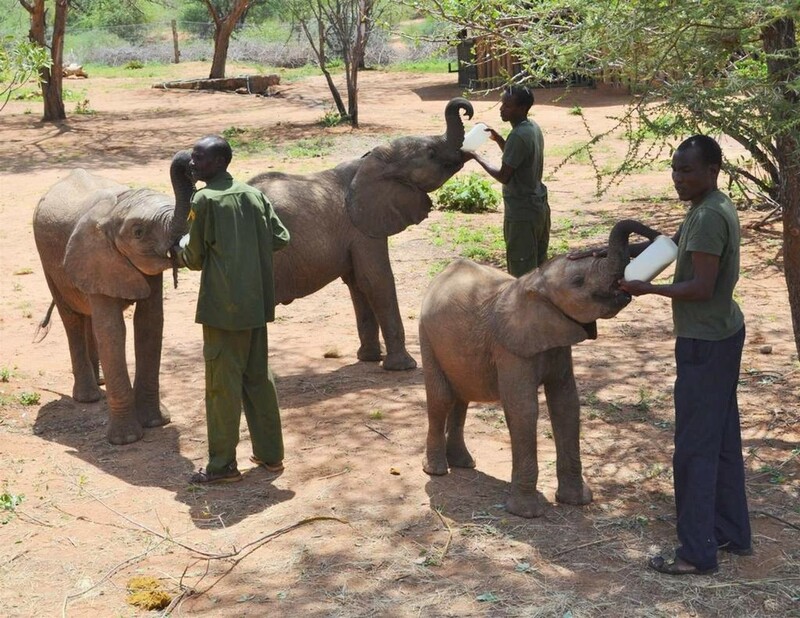 It all started with a trip to Reteti Elephant Sancutary in the Namunyak Conservancy, from Saruni Rhino in the Sera Conservancy in Northern Kenya, in June 2017. As we drove along the bumpy roads to visit the orphaned elephants, we came across a beautiful scene – a ‘school room’, complete with teacher and students, lessons being held under the shade of a huge tree, which obviously brought relief from the blazing heat of the sun. 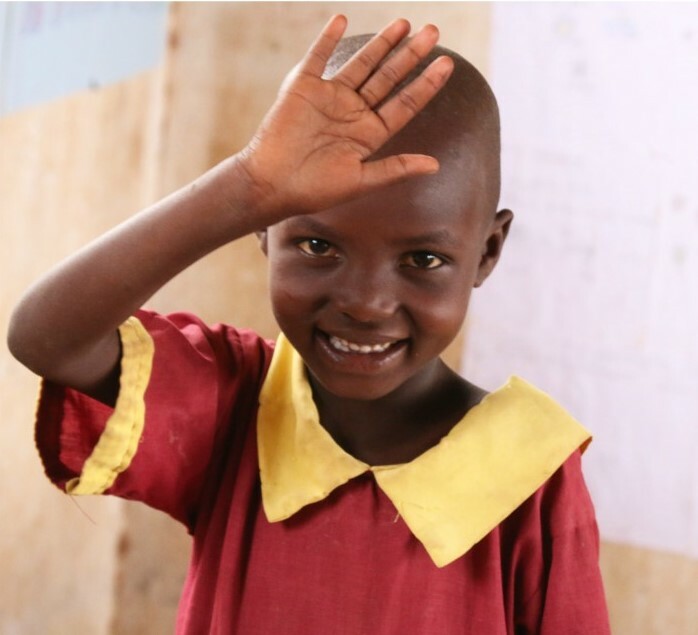 We slowed down for a closer look and were rewarded with huge smiles, shouts and waves – and if I needed any more proof that Northern Kenya was firmly entrenched in my heart, that was it. As soon as I returned to Sydney I was thinking about my return trip – and how I might make some sort of a difference. I found myself simultaneously looking for volunteering opportunities and talking to travel providers and before I knew it, my return trip for February/March this year was booked. Once again booked in with Saruni Lodges and having kept in touch with Elizabeth Orizio (owner), I was pleased to learn from her of the Pack for a Purpose initiative and Saruni’s involvement and support of this programme. Participating was a no-brainer, Northern Kenya and the Kalama Community were in my sights – and heart – again. It’s amazing how much ‘stuff’ we have in our homes that we can move on – one man’s trash is another man’s treasure and all that – and it turns out the workplace is an excellent place to move things on, particularly when you’re letting everyone know that what they’re buying – or donating – is towards a great cause. 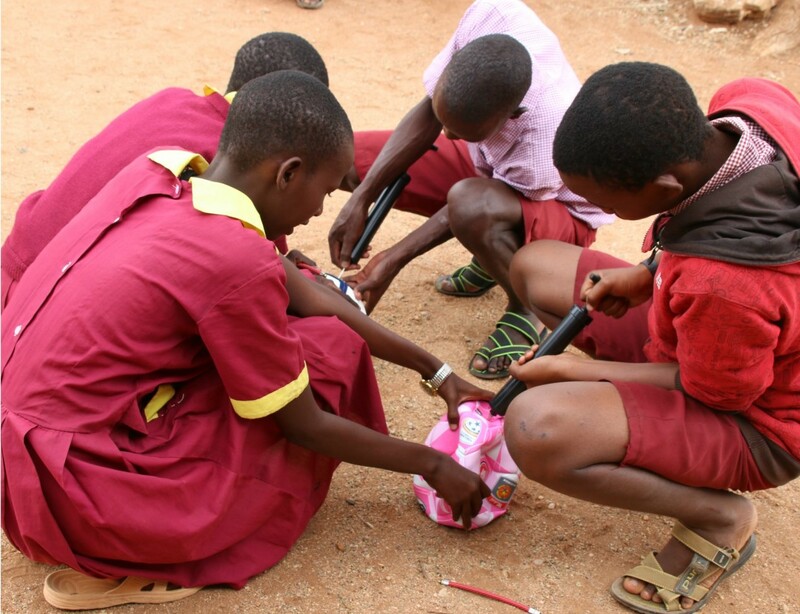 The ‘garage sale’ at Dolby Australia was extremely well supported, made even more so by two donors in particular who were enamoured with the idea of helping these kids, the education, the school. I also have a good friend who is a publicist with high calibre clients in Sydney and so approached her with ideas. 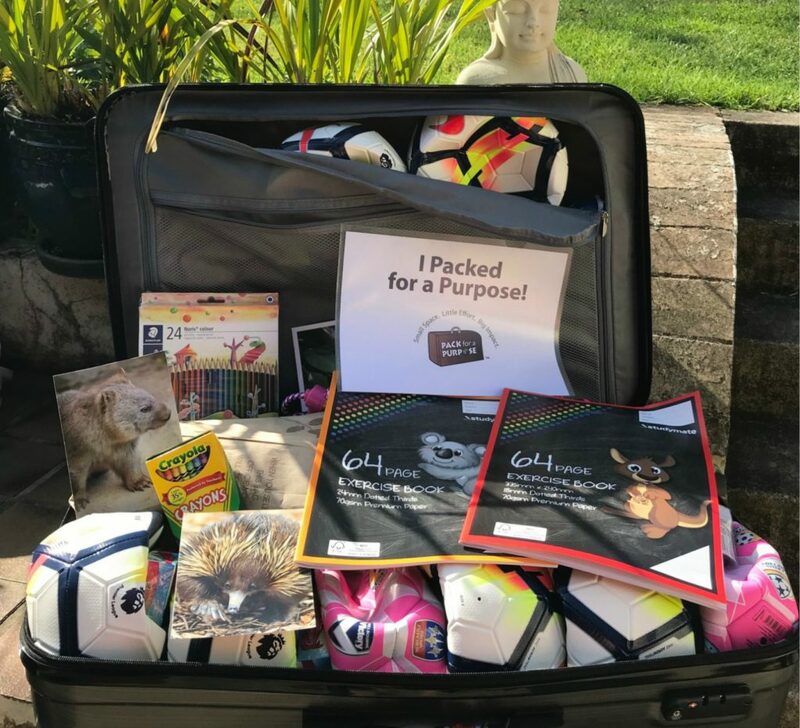 One of her clients is sponsored by Nike Australia, so she approached Nike and the rest is history, A dozen soccer balls – including the most fabulous pink & white balls – were delivered in the blink of an eye. Armed with the donations which turned into stationery supplies – pens, pencils, crayons, rulers, erasers, writing pads etc. – as well as an assortment of flash cards which my admin team put together, skipping ropes, story books on Australian animals and of course the soccer balls, we had the proverbial treasure trove. Turns out it was 26kg of treasure trove – and a big question of how to transport it from Nairobi to Kalama. Once again Elizabeth and her husband Riccardo stepped in and stepped up, meeting me in Nairobi to pick the suitcase up and have it road transported to their property, Saruni Samburu, for delivery. We would try to have the drop-off coincide with my visit, but there were no guarantees. Nevertheless, I think my fingers were crossed for much of my first week in Southern Kenya. 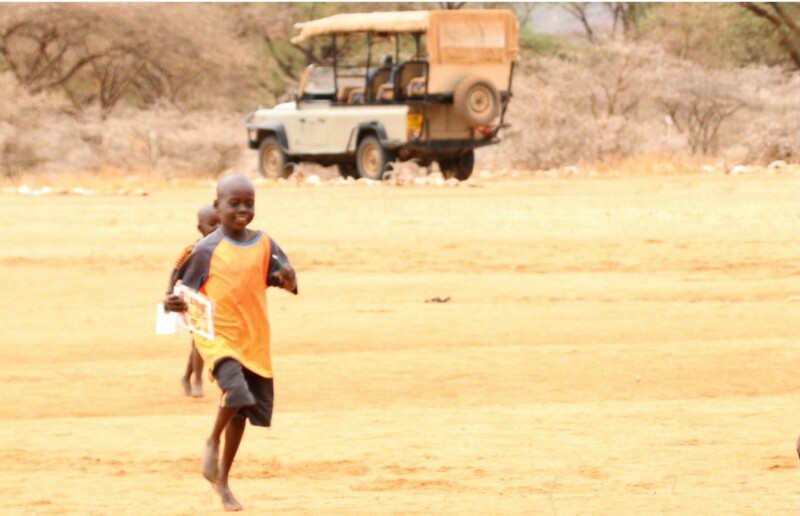 As I returned to Northern Kenya, I was picked up at the Kalama airstrip by Sambara, one of the head guides at Saruni Samburu, who informed me we would be going straight to Kiltamany Primary School, my big suitcase sitting in the back of the safari vehicle, awaiting delivery. To say I was excited would be an understatement. And what a welcome we received. We were met by Head Teacher Barack. 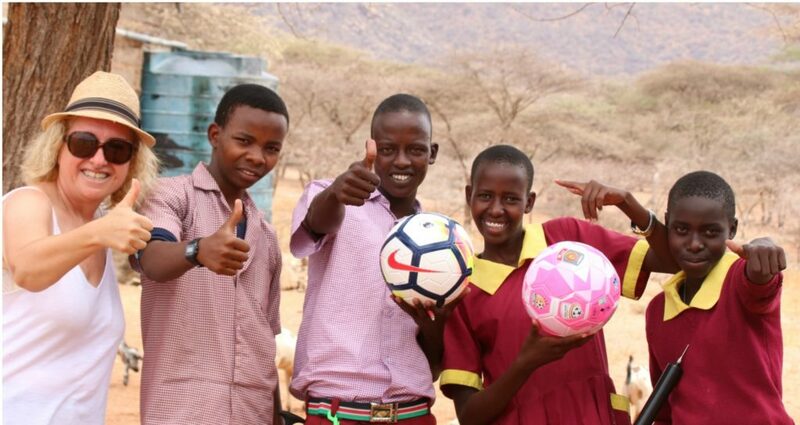 J Okoth, who first took me on a tour of the school – buildings within a fenced off parcel of land on the familiar red dirt that is northern Kenya – and then invited us to watch the most marvellous welcome from the students. There was singing, clapping, dancing. There was also an invitation to partake but my pleasure was in the watching and immersion. The smiles were very much mutual. And then we might have accidently broken a little bit of school protocol as the soccer balls took centre stage. 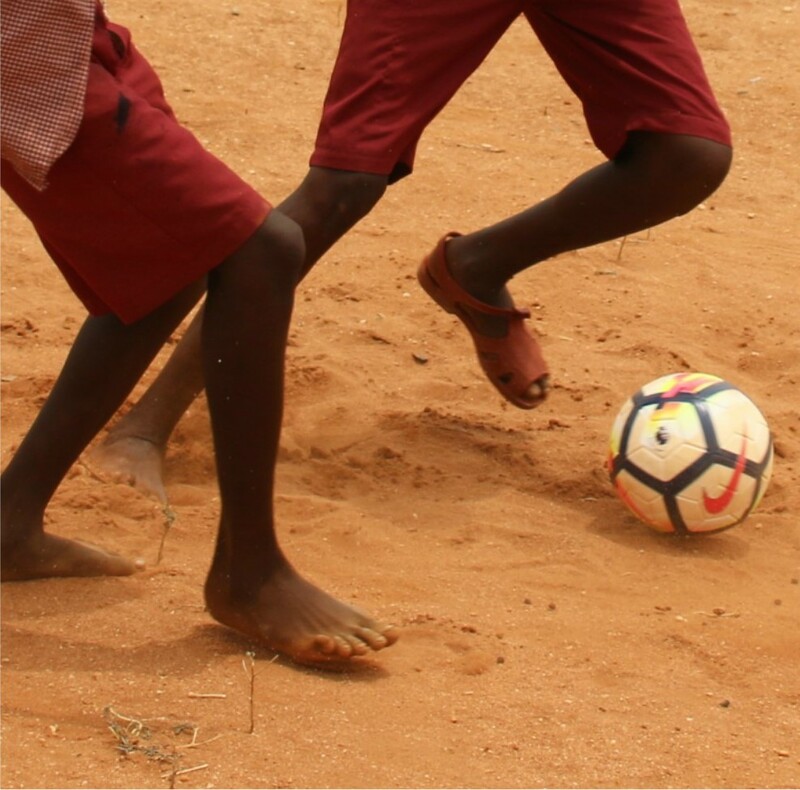 It started small – a dozen boys and girls kicking these balls around – but soon escalated as student after student tipped out of the classrooms to see what was going on – and joined in. I might have been sorry for interrupting but I wasn’t – being in the midst of these happy, laughing children was too good, too rewarding. We stayed out there for well over an hour, I took hundreds of photos – and the school bell for lunch was rung early. And then, after almost 3 hours – 3 unforgettable hours for both parties I’m sure – we reluctantly packed ourselves back into the vehicle to head “home”. It’s not just a rewarding experience, it’s well beyond that. This little effort touched lives in a way I couldn’t have done by myself, and for that, my heartfelt thanks go to both Saruni Lodges and the Pack for a Purpose initiative. Pulling this together brought so many people together – across continents, across ethnicities, across genders, across everything. And it was worth every second. I couldn’t recommend the experience or the value more. And if you’re thinking about it, even for a split second, then a well-known slogan comes to mind. They did, after all, supply the footballs. Well done Saruni Lodges, and of course, well done Pack for a Purpose. Can’t wait to do it all again.